The left-wing media immediately pounced on the story, eager to exploit the mention of the Tides Foundation, a frequent topic of Glenn Beck’s program on the FOX News Channel. 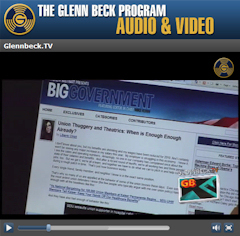 Since Beck’s arrival to FOX, he has focused in on the organization for its central role in pushing far-left policies and funding left-wing propaganda outlets like Media Matters. The liberal media watchdog site has been covering the story recently. In fact, Media Matters, which has received more than $2 million from the Tides Foundation over the last five years, has relentlessly harassed conservative personalities and organizations, especially Glenn Beck, often in what appears to be a coordinated fashion – and to the point of complete monotony. Just search “Byron Williams” on their website – for the last week alone, Media Matters has made over thirty posts associating Beck with the Byron Williams incident, seemingly implying that Beck and FOX News are directly responsible for Williams’ actions.